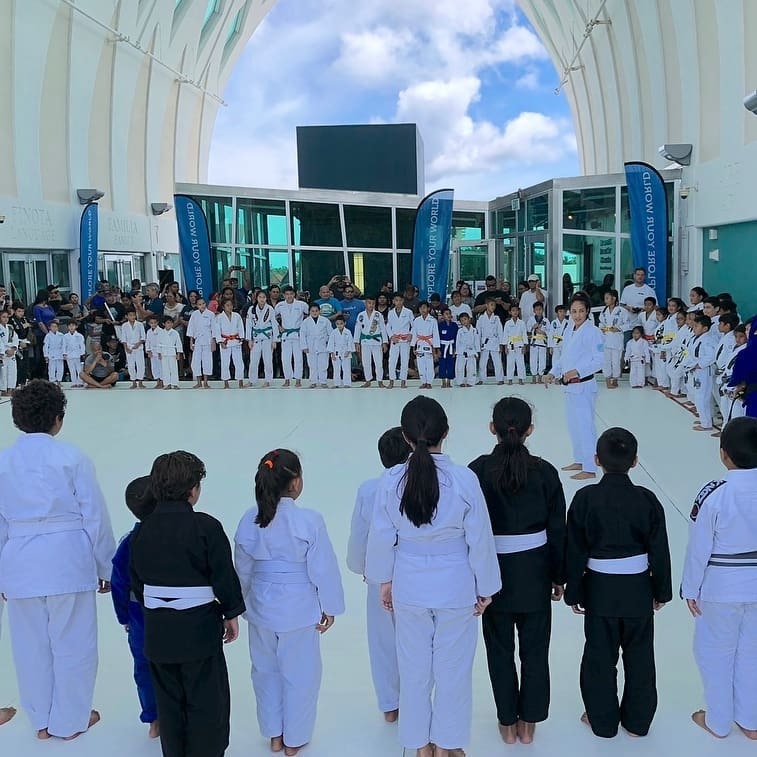 A huge step in unifying the island’s Jiu-Jitsu community took place on Saturday in a unique setting on the second floor of the Guam Museum in Hagatna. The unifying event invited all BJJ schools to partake in a rare opportunity to train with some of the world’s elite practitioners in world champions Marcus “Buchecha” Almeida, Gutemberg Pereira and Gezary Matuda hosted by Shoyoroll and founder Bear Quitugua. Shoyoroll Kids Jiu Jitsu Workshop & United Open Mat was an awesome and successful event that gave back to our island in huge amounts not only by uniting the teams to share their Jiu-Jitsu but also working with Buchecha, Gezary & Gutemberg who definitely helped inspire all the future world champions that will come from Guam. I wasn’t there as I’m in Tokyo doing work for UFC and Rizin but I was able to do open mat with Bear and had my senior students lead the team in my absence. What Shoyoroll did was great for Guam’s Jiu-Jitsu community by allowing the highest level of Jiu-Jitsu players to our island. Buchecha is the absolute king, Gezary is 3x black belt world champion, so it’s very inspiring most especially for the kids! Thanks so very much Bear and guests…a lot of eyes on Guam this week in the BJJ world. The Shoyoroll Kid’s Jiu-Jitsu Workshop was honestly an incredible and inspiring event. There were literally smiles everywhere! All the kids and parents were very, very excited to meet and learn from the three Jiu-Jitsu World Champions. We are very grateful to Shoyoroll and all the sponsors for funding and hosting this event. Mas Dangkulu na Si Yu’us Ma’ase to Marcus “Buchecha” Almeida, Gutemberg Pereira, and Gezary Matuda for taking time to come to our island and sharing their Jiu-Jitsu and positivity. Super stoked for everyone that took part in this event. Definitely a win for our island’s youth. Biba Guam and Biba Jiu-Jitsu! The open mat workshop was a cool event. Especially being able to learn and be around the world champions. They even passed out random Shoyroll shirts and gis to random people. Shoyoroll did a fantastic job bringing all the local academies together to share Jiu-Jitsu with these world class Jiu-Jitsu practitioners.